FIX MY CAR: LUXURY SPORTS BUILD & RACE is now available on all markets! FireRabbit is proud to announce its latest mobile game release: Fix My Car: Luxury Sports Build / Race! Build your luxury sports car like a mechanic and race it in style like a speed racer! 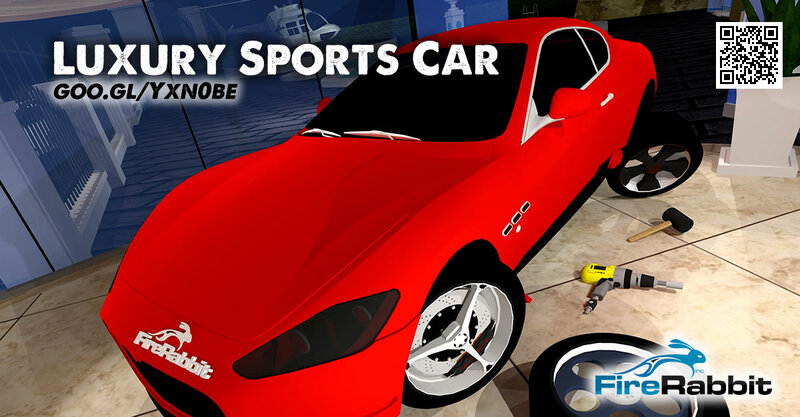 Read more: FIX MY CAR: LUXURY SPORTS BUILD & RACE is now available on all markets! FIX MY CAR: ZOMBIE SURVIVAL is now available on all markets! FireRabbit is proud to announce its latest mobile game release: Fix My Car: Zombie Survival! Find parts and tools and use your mechanic skills to upgrade a stock clunker car into a high-performance, mean, zombie-proof ride! Pimp out your auto with dozens of engine, suspension, interior, body, armor, and weapon mods. 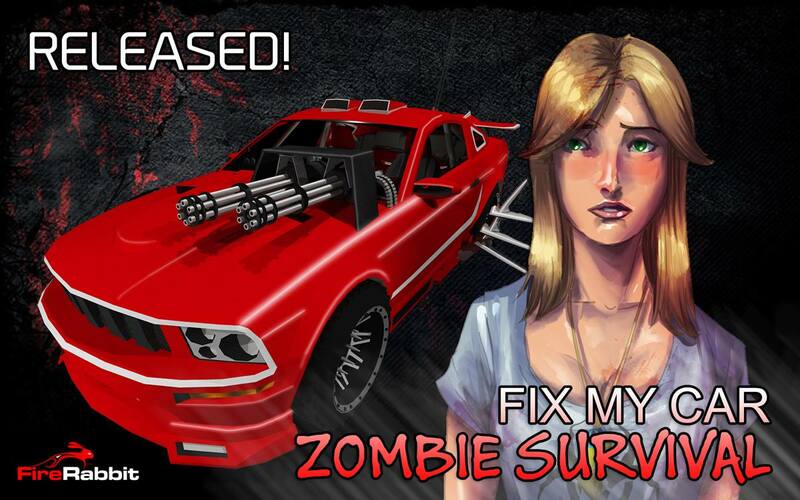 Read more: FIX MY CAR: ZOMBIE SURVIVAL is now available on all markets! OVERLIVE - Zombie Survival RPG released! FireRabbit is proud to announce its latest mobile game release: Overlive - Zombie Survival RPG! To survive, you must escape the city. Choose your own path, but be careful, every decision has consequence. Read more: OVERLIVE - Zombie Survival RPG released! 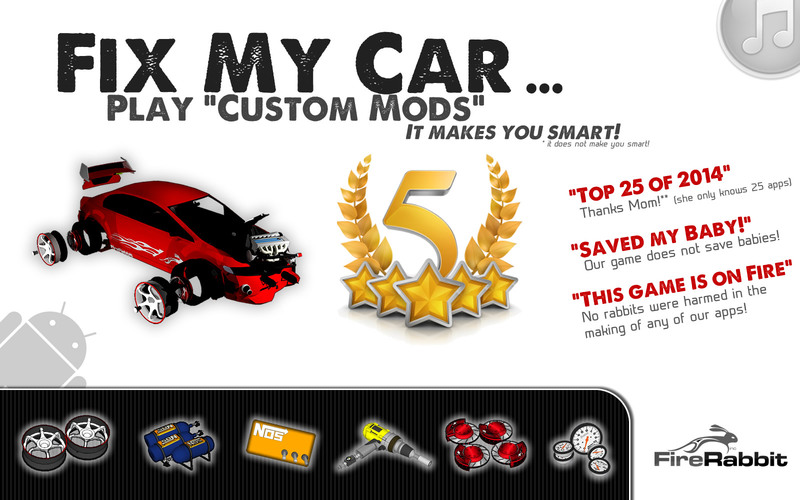 FireRabbit has released its latest game ‘Fix My Car – Custom Mods’ where you get to tweak a stock car! Customize it, lower it and mod it until the car becomes a fly street racer fully upgraded with aftermarket parts. In this automotive project you'll have fun discovering your auto, mechanical skills while learning about performance upgrades and how custom car modifications are installed in the real world. FireRabbit has released its latest game series: Tombstone Room Escape! Have you ever wanted to be a cowboy (or cowgirl!) in the Wild West? Beat the clock and daringly escape the Saloon and Casino while facing off against the fiercest and most corrupt sheriff that you have ever known. Gun fights, puzzles, clues, and hidden objects stand between you and certain death. You can play “Saloon – Tombstone Room Escape” for free today with no ads and no permissions (no string attached). If you like it, for the price of a single coffee you can enjoy the second chapter “Casino – Tombstone Room Escape”. Our next step is to release this game in different languages. Have fun, and please rate us if you enjoyed it! Don’t forget to join us on Facebook for our latest game news and upcoming events.